At the end of September 2018 CLdN ro-ro introduced two (2) direct sailings between the ports of Zeebrugge in Belgium and the port of Santander in Spain offering the market efficient and reliable shipping solutions to and from the Iberian peninsula. The trade proved to be an immediate success as increasingly high numbers of shipments have been recorded on weekly basis. Seeing the sound foundation, and the deployment of our brand new state-of-the-art ro-ro vessel m/v Laureline in our network, we are now able to take the next step in the development of the Spanish corridor in order to enhance the trade and the service towards our customers. Hence CLdN has announced that the number of sailings between the two (2) ports will be increased from two (2) to three (3) departures per week in each direction as from Sunday 17/03/2019 onwards. 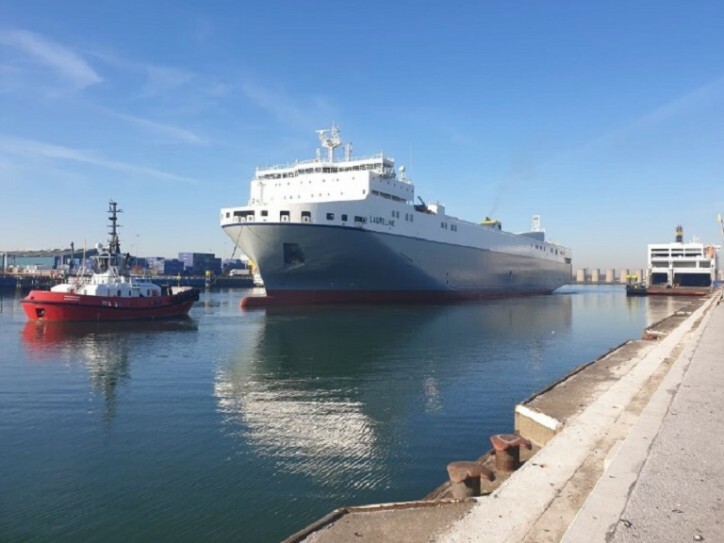 CLdN will offer symmetrical sailings from both Santander and Zeebrugge on Tuesdays, Fridays and Sundays, operated by modern ro-ro vessels which can accommodate a wide variety of cargo, ranging from trailers, containers and machinery to cars, breakbulk and project cargo. By offering a higher frequency of sailings not only will the overall capacity be considerably increased but it will also allow our customers to rotate their units in a faster and more efficient way, resulting in improved transit times and further cost optimization. Next to the increased frequency, the handling of the vessels trading on the Zeebrugge/Santander Service, and on the Zeebrugge/Esbjerg service will be moved from Brittania Dock to Albert II Dock in Zeebrugge. This will create further synergies as non-UK services will be consolidated on one and the same terminal – Albert II Dock – whilst the UK services will be grouped on Britannia Dock. More information in regards to the respective terminal moves is to follow soonest.